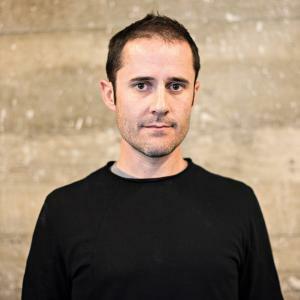 Evan Williams was born on the 31st March 1972 in Clarks, Nebraska USA, and is an internet entrepreneur and computer programmer, who has founded several internet companies including the social network Twitter, one of the top internet websites, which significantly improved his net worth. His career started in 1993. Have you ever wondered how rich Evan Williams is, as of mid-2016? According to authoritative sources, it has been estimated that Williams’ net worth is $2.5 billion. In addition to Twitter that generates most of the money to his bank account, Williams is also a successful computer programmer and developer. Evan Clark Williams was born the third child of Laurie Howe and Monte Williams, and grew up on a farm in his hometown of Clarks, assisting with cropping during summer. He went to the University of Nebraska in Lincoln, but stayed there for a year and a half only, when like many programming masterminds, he decided to drop out to pursue his practical career. Williams launched his working life at start-up firms, and did various technology jobs in Key West, Florida, Dallas, and Austin, Texas. He briefly returned to his family farm before settling in Sebastopol, California in 1996 to work at “O’Reilly Media”, a technology publishing company where he had a post in marketing. However, he soon became a freelance contractor writing computer codes, which later secured him jobs in reputable companies such as Hewlett-Packard and Intel. Williams had already earned a lot of money during his early career years, but he would come up with a revolutionary invention in the coming years. In 1999, Williams and Meg Hourihan founded “Pyra Labs”, a web application which would combine a contact manager, project manager, and to-do list. Soon after, they established Blogger, one of the first applications for writing personal blogs, which was free of charge, but Blogger users began donating money in 2001 to buy a new server. The original company’s budget completely dried-up in the coming months, and Williams lost his personnel including co-founder Hourihan. However, he managed to find an investor in Dan Bricklin’s company “Trellix”, which helped Williams when the going was toughest. Eventually, Evan sold “Pyra Labs” to Google in 2003. Williams also worked with Google until 2004, when he started a podcast company named “Odeo”, which in turn was acquired by Sonic Mountain in 2007. The idea that entirely changed his life for good was the invention of Twitter, a social network and micro-blogging service that is totally free for users. He and Jack Dorsey introduced Twitter as a new company in April 2007, and Williams became the CEO in 2008. By February 2009, Twitter was the third most used social network with six million users, and 55 million monthly visits. By 2013, Twitter had 200 million registered users and today is attracting 300,000 new users per day, with more than five billion visits in every month. The company is now valued at around $20 billion, and Williams’ net worth has dramatically increased, thanks to his 30-35 % shares in the company. Williams also created “Medium”, a publishing platform in 2012. Regarding his personal life, Evan Williams is living in San Francisco with his wife Sara(m. 2007) and their two children. Williams is a pescetarian, which means that he eats only fish and seafood. 1 In 2006, he founded the social networking site Twitter with Jack Dorsey and Biz Stone.